Here's a USB Wireless Weather Forecaster for £70 from Maplin, and their Instruction PDF. The manufacturer is Fine Offset Electronics Co., Ltd of China, and they feature a product page. 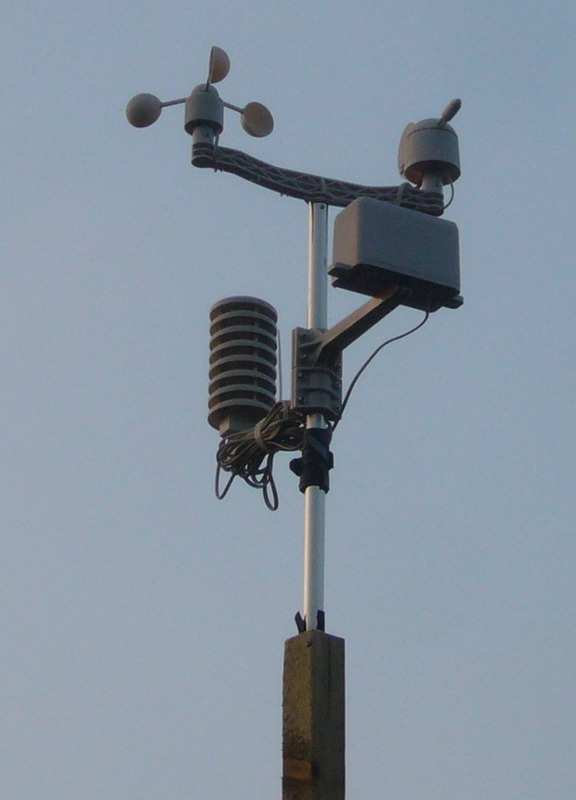 DigitalHAM provides a thorough consumer review of the weather station. The troubles he had make me wonder if it's just too cheap to bother with. 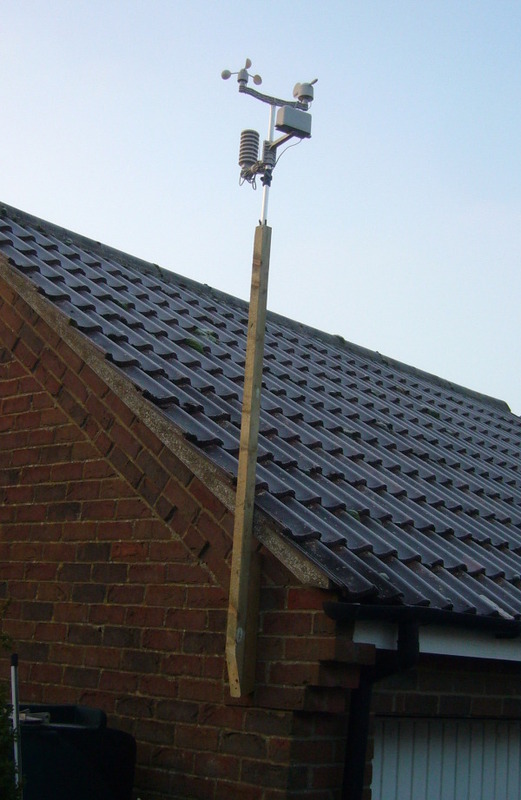 30 December 2008 Update We now have this weather station installed on the side of our garage - not the best position, especially for wind direction, but we aren't about to put it above the house roof line. 17 January 2009 Update Since the weather station was mounted below the apex of the garage, wind direction and wind speed were clearly affected by turbulence and shelter. We have now fixed it (using the same wooden pole and masonry attachments) to the top of the garage apex, and so far both wind speed and direction are much more steady and realistic. 31 December 2010 Update After two years of continual uninterrupted operation, the receiver unit lost signal. 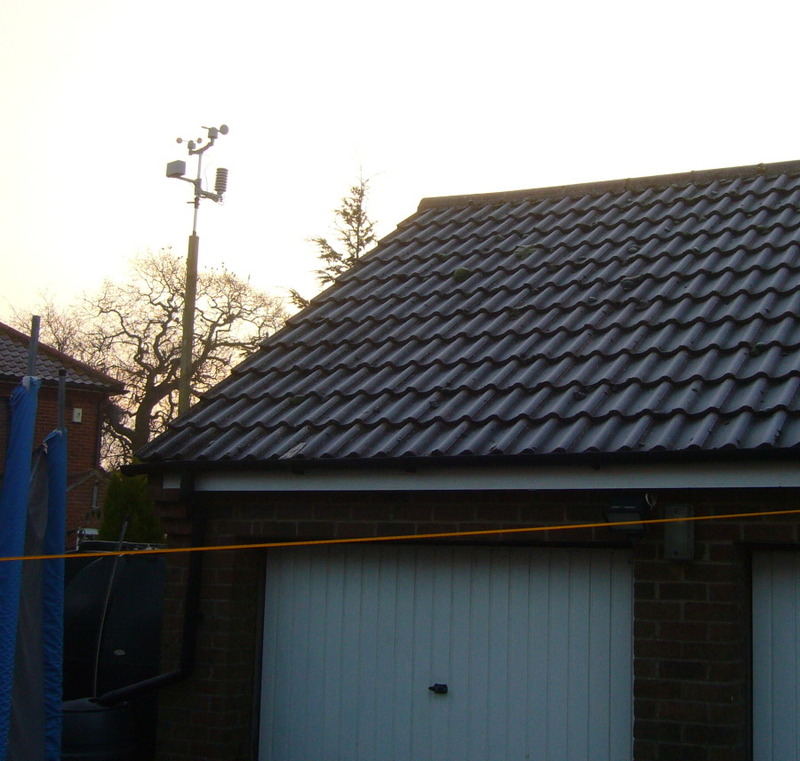 We brought the unit down from the pole above the garage roof, gave it a cursory check (no problems spotted), put in fresh batteries and secured it back in place. After we also put new batteries in the receiver unit, we had to wait a fair while (overnight!) before the two managed to talk, but everything is now back to normal. 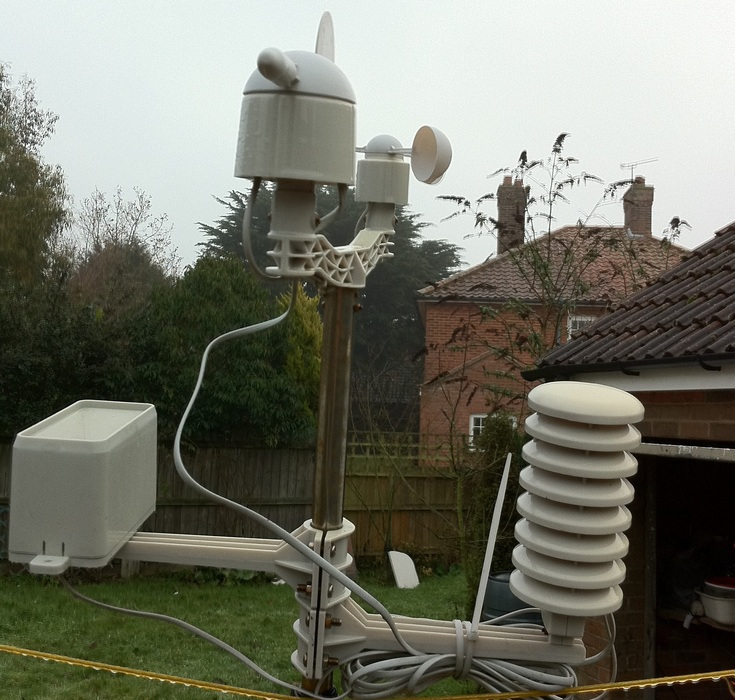 This weather station has really stood the test of time!